What a wonderful response to yesterday’s brilliant story by Patrick Kavanagh. 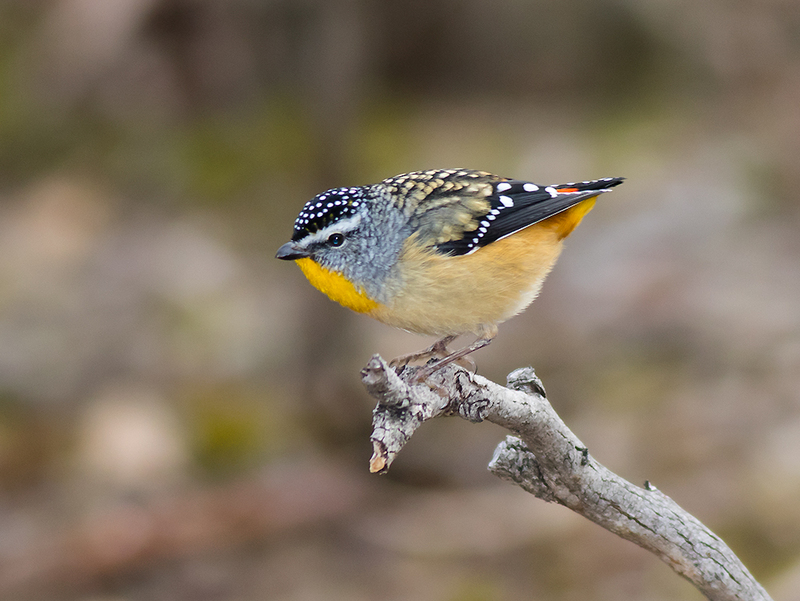 I was heartened to see the beautiful images of small birds, especially the Speckled Warbler – a shared favourite. 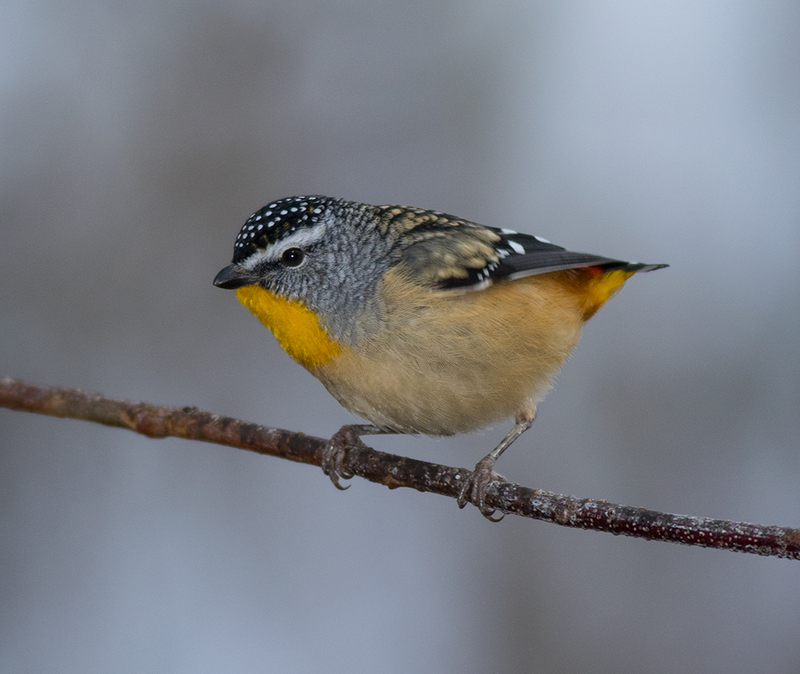 While recent weather has been taxing for humans, it is likewise for the birds and to see evidence of their local persistence ‘made my day’. Yesterday at about 5pm a dramatic dust-storm rolled over Newstead from the north-west, racing ahead of a band of thunderstorms that left a grand total of 2mm in town. Other places in the region fared better … but the drought still grips. 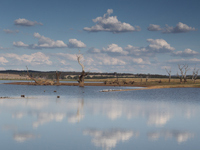 Click on the panoramic image below for a landscape view of yesterday’s storm. 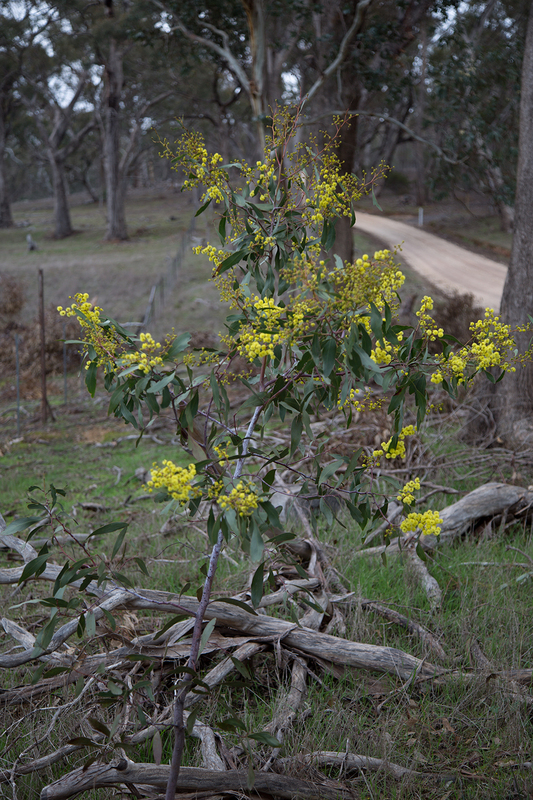 Over the past few days the first blooms of Golden Wattle have tentatively appeared in the local bush. 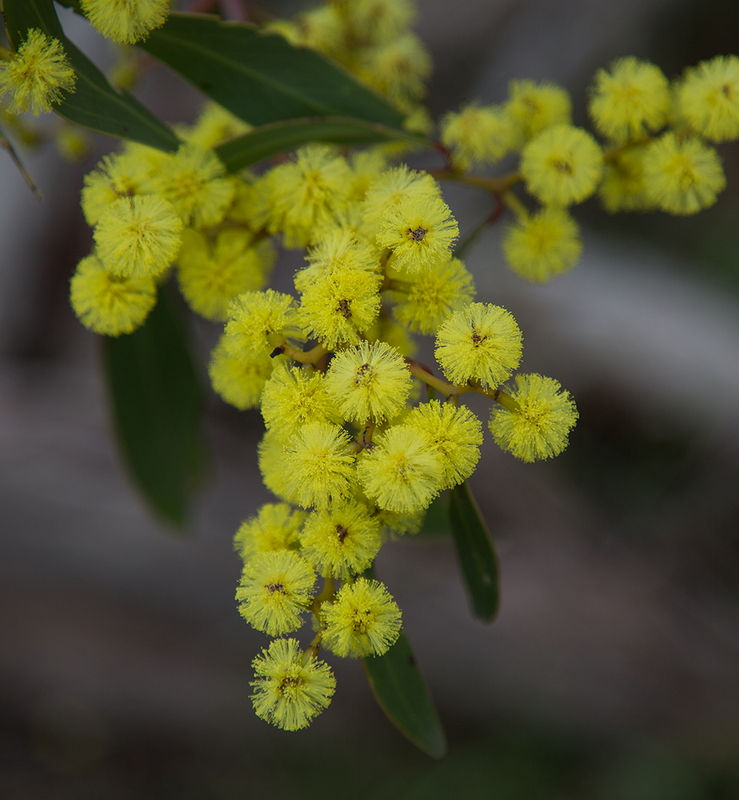 Travelling back from the Grampians towards Maryborough yesterday I noted quite a display of gold that hadn’t been there a few days earlier – it appears that flowering is slightly ahead over there, as it is further north. 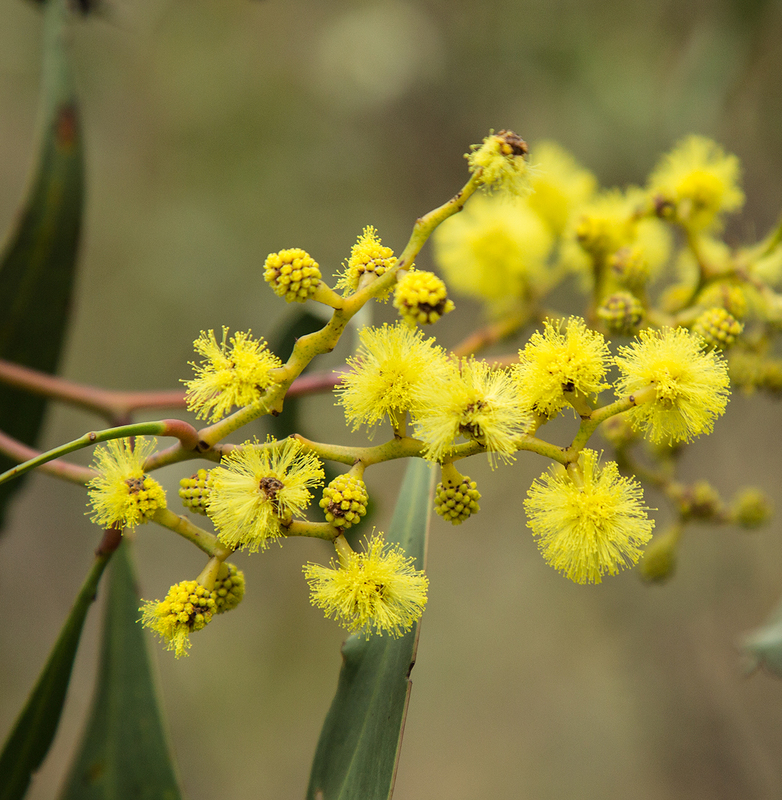 The first Golden Wattle flowers usually appear after the shortest day – the bush will be transformed to gold in coming weeks. 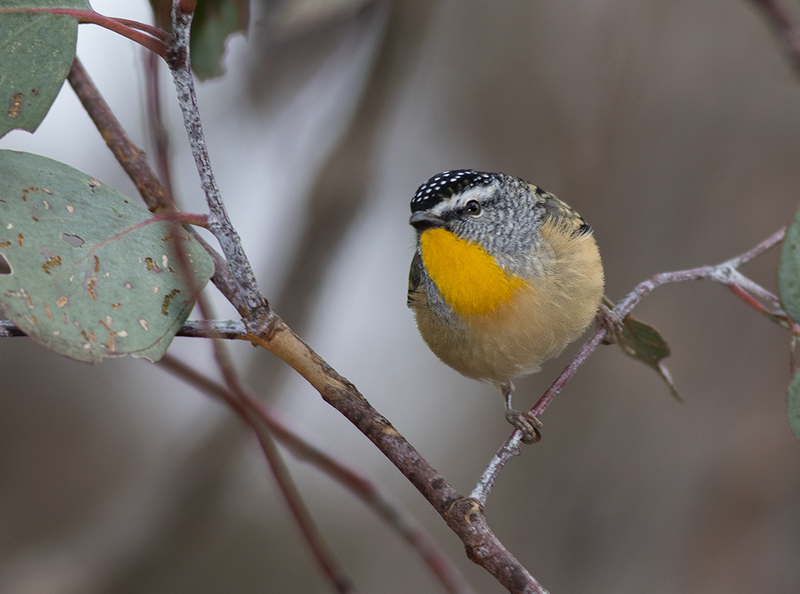 Even in winter, if you look hard enough, the colour on offer in our local bush is extraordinary. 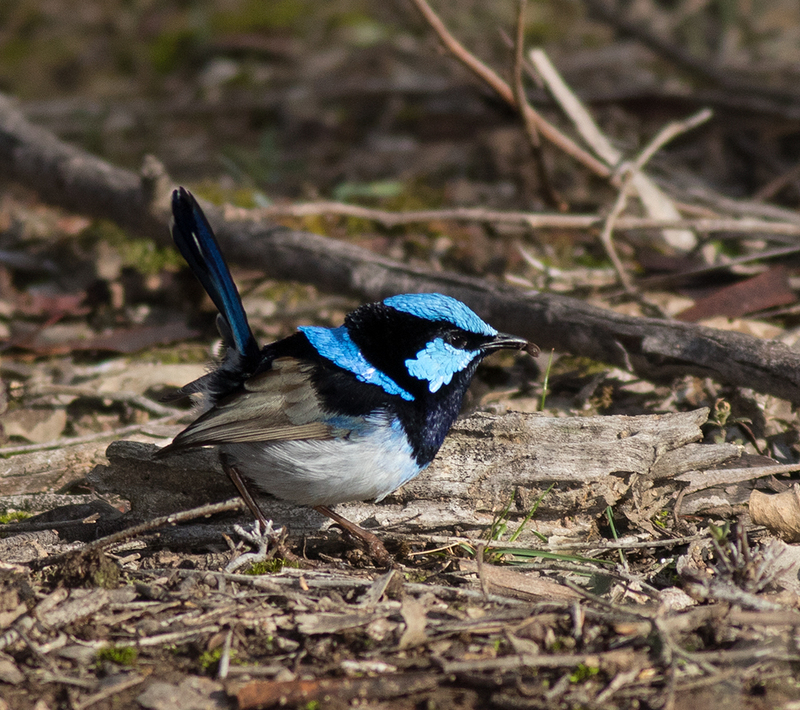 Male Superb Fairy-wren, Strangways, 18th July 2015. 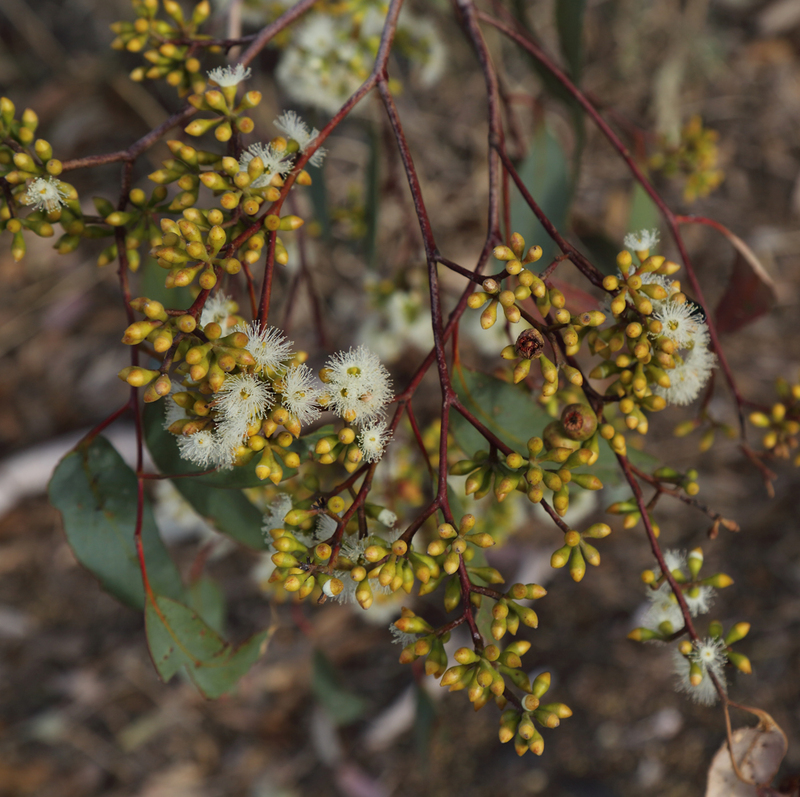 Golden Wattle – the first blooms that I’ve spotted this winter. 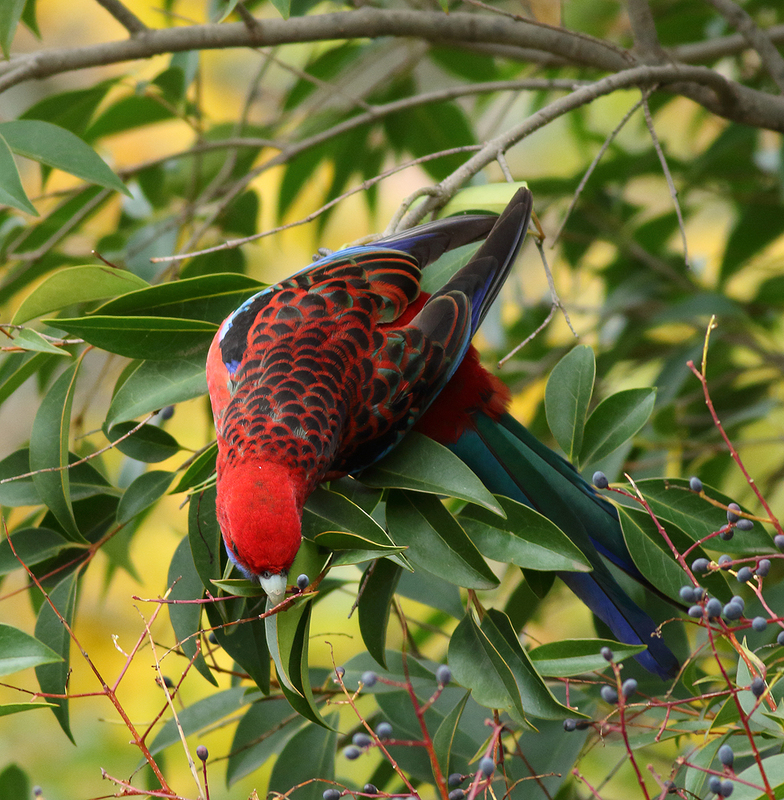 Chasing insects amongst the Red Box foliage. 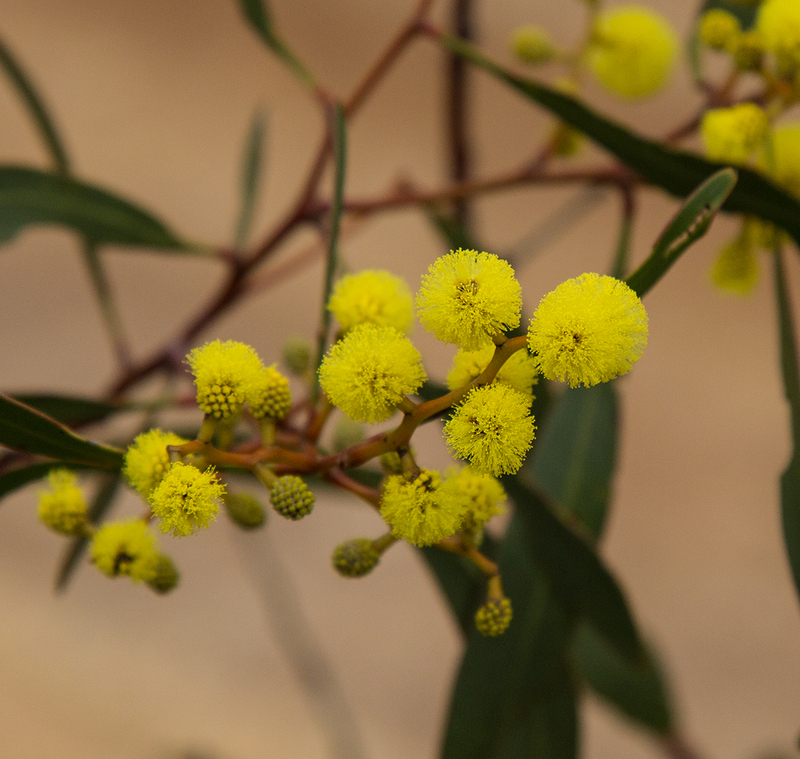 We recently sighted the first Golden Wattle Acacia pycnantha on our place to burst into flower for the season. Always a stunning and joyful vision! 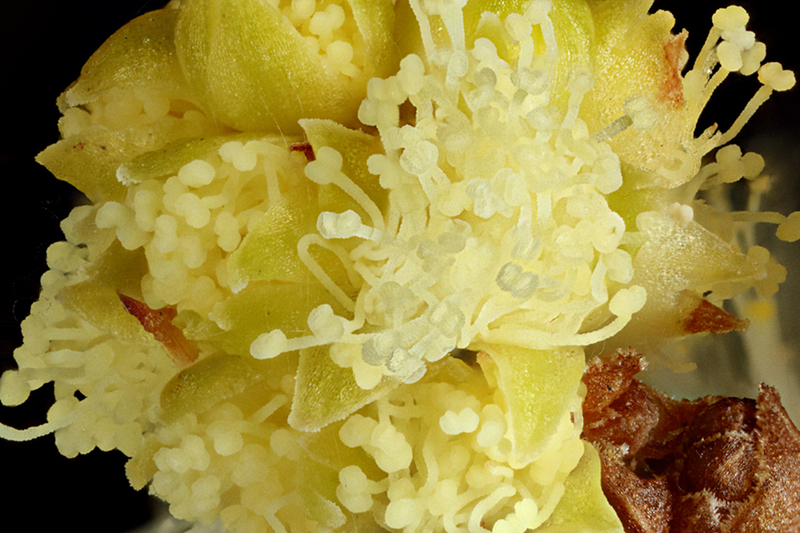 It prompted me to train the high power macro lens on the erupting flower buds to see how the process works. 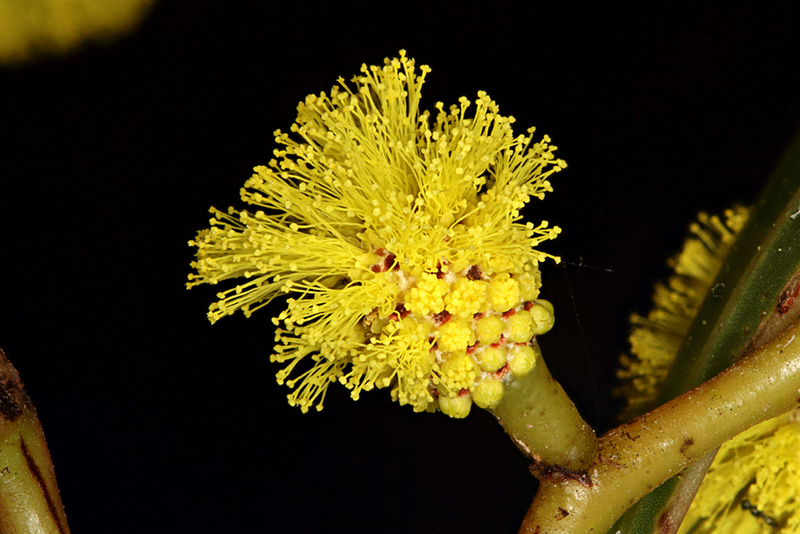 I was amazed when someone pointed out to me the tiny insects on the bud at the earliest stage of flowering. How many can you count? 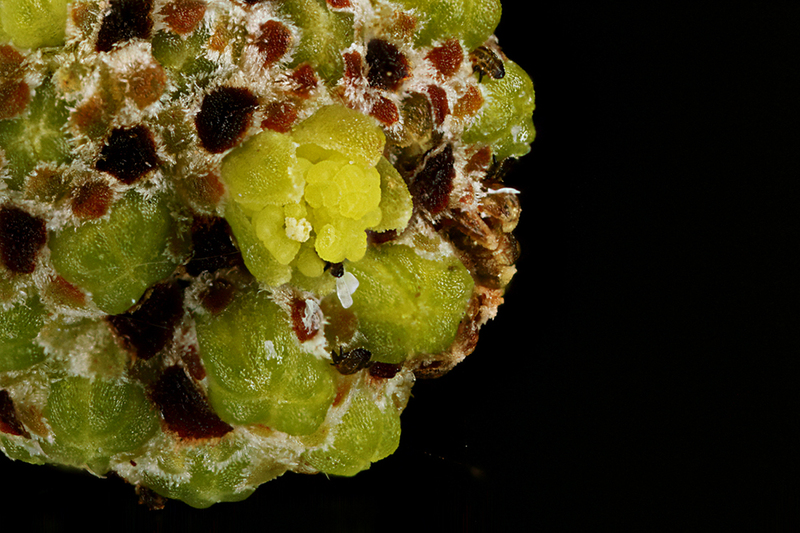 I have also been fascinated by the marvelous shapes of the still-budding Spreading Wattles Acacia genistifolia so I’ve included a few more high magnification shots of these. 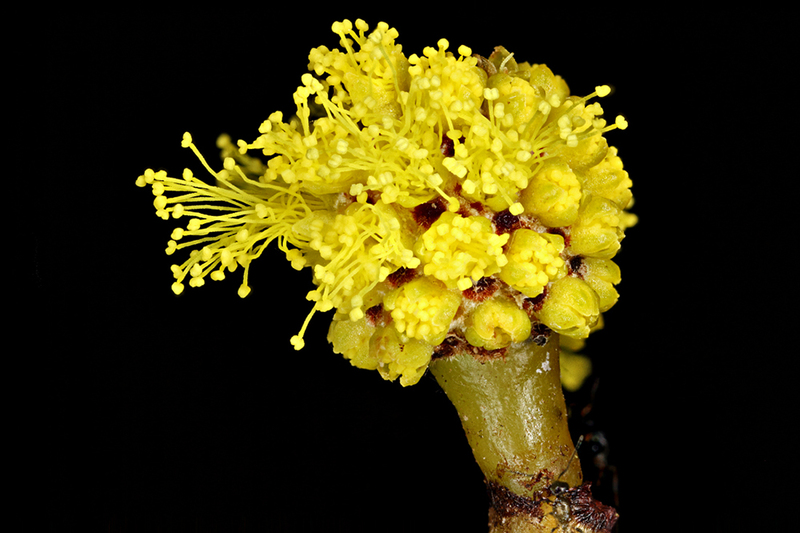 Look closely for the tiny insects on the surface of the buds. A great sight in mid winter! 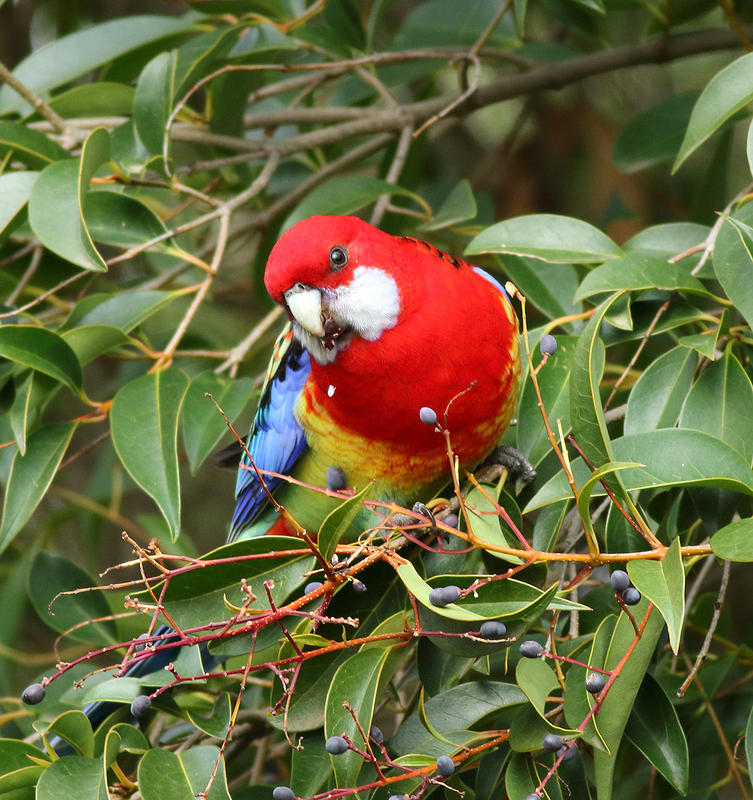 This ‘pair’ of adult rosellas, a Crimson and an Eastern Rosella are one of a number of mixed pairs currently flying together around town. In my experience this happens more frequently in urbanised environments than it does elsewhere – I wonder if anyone has done a study? 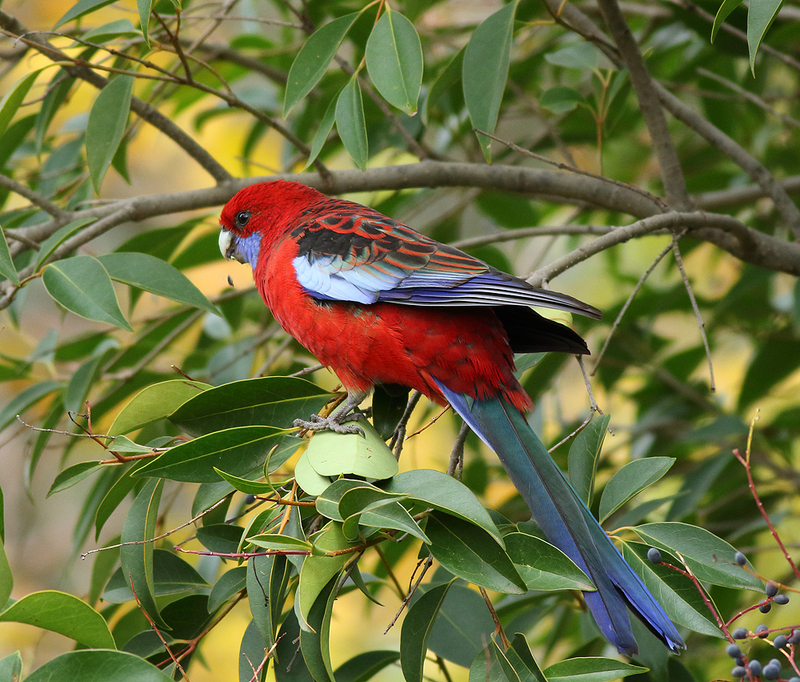 The Crimson Rosella is a bird of woodland and forest, while the Eastern generally prefers more open country. 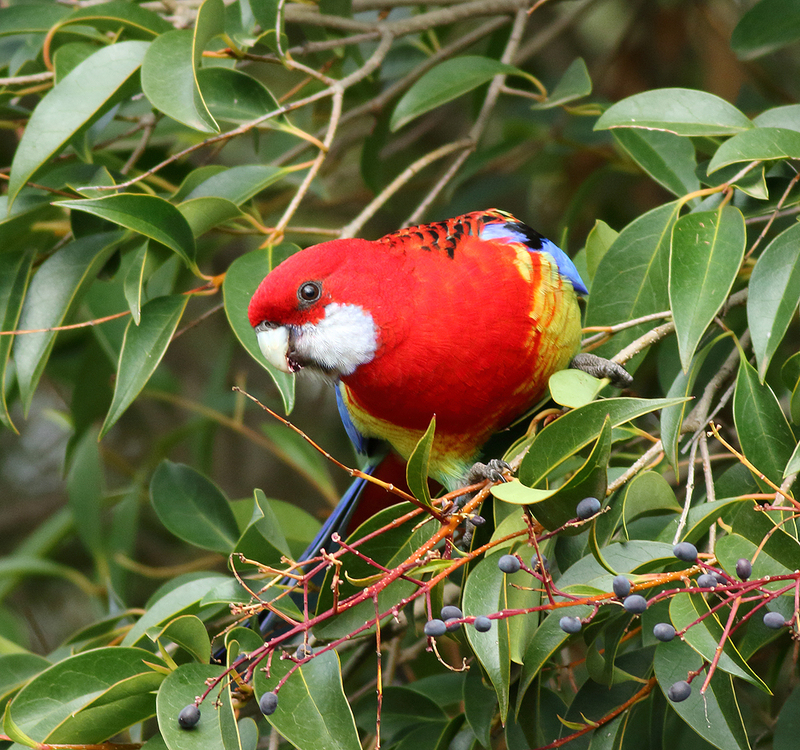 Crimson Rosella feeding on Viburnum, Wyndham Street Newstead, 30th May 2015. 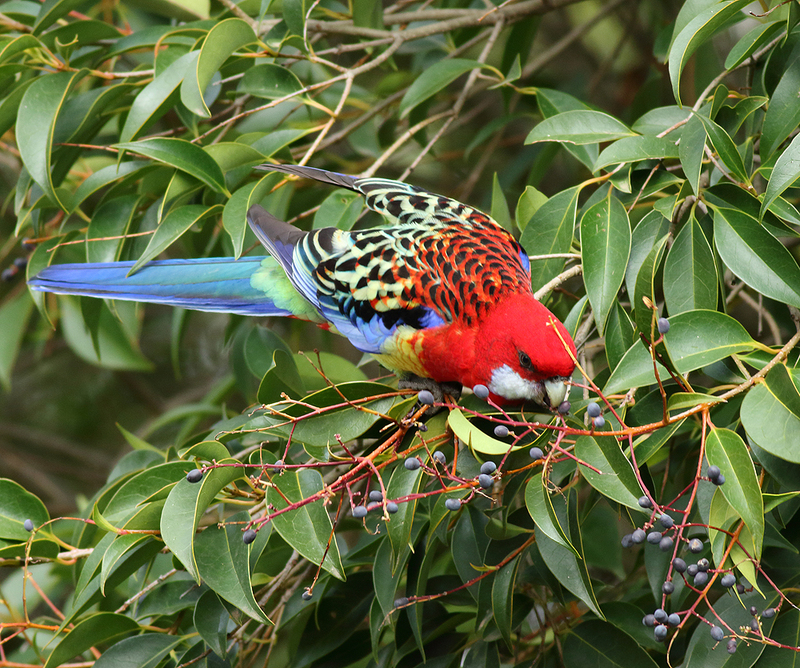 Its mate, an adult Eastern Rosella, feeding nearby. 2015 looks like a grand season for Grey Box. 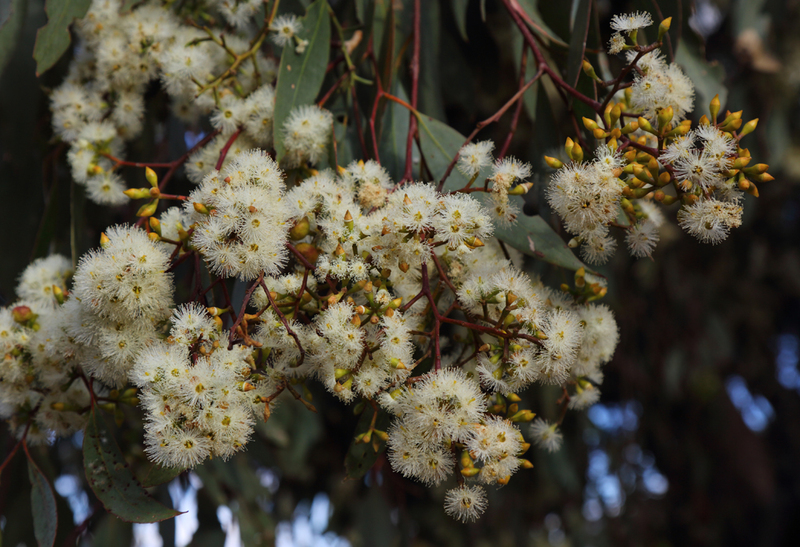 After a light flowering in 2014, there is an abundance of blossom on many district trees as autumn unfolds. 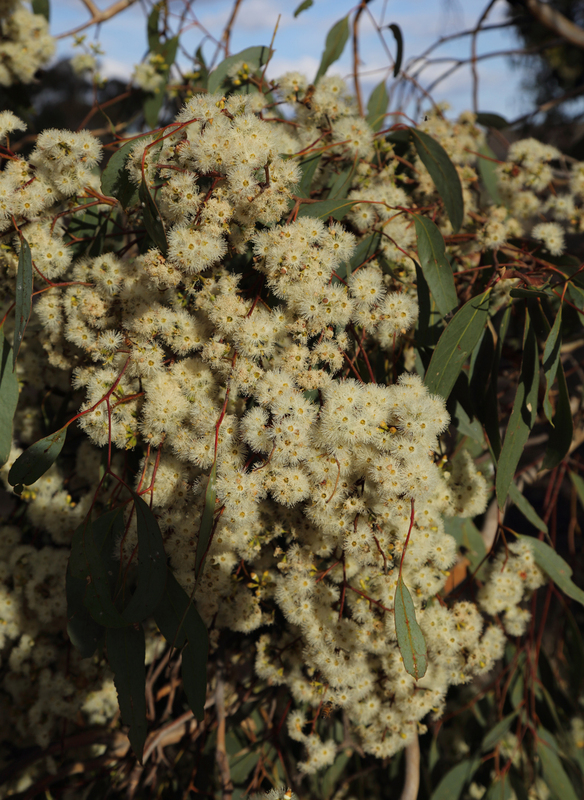 The rich aroma smells wonderful on these cool mornings. 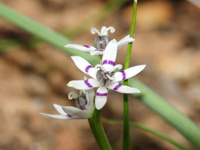 Grey Box in flower, Joyce’s Creek, 9th March 2015. Grey Box buds … and a few recently opened flowers. 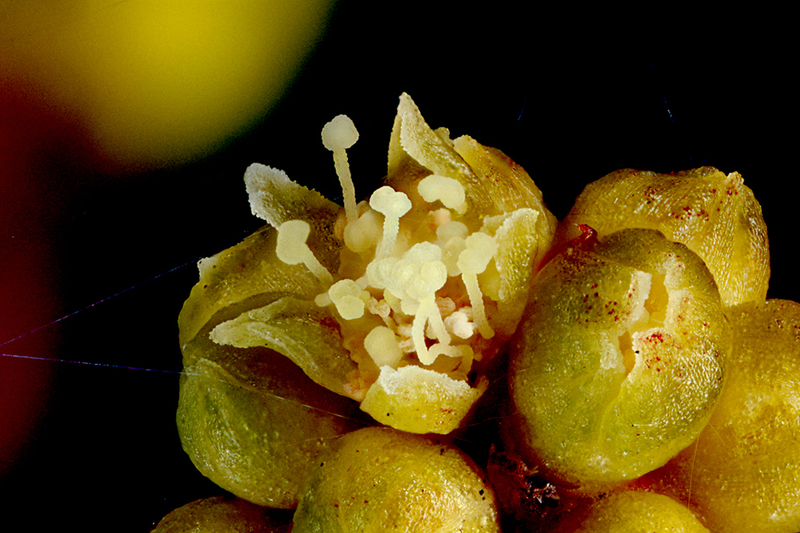 A bountiful supply of autumn nectar and pollen. Six seasons – not four! 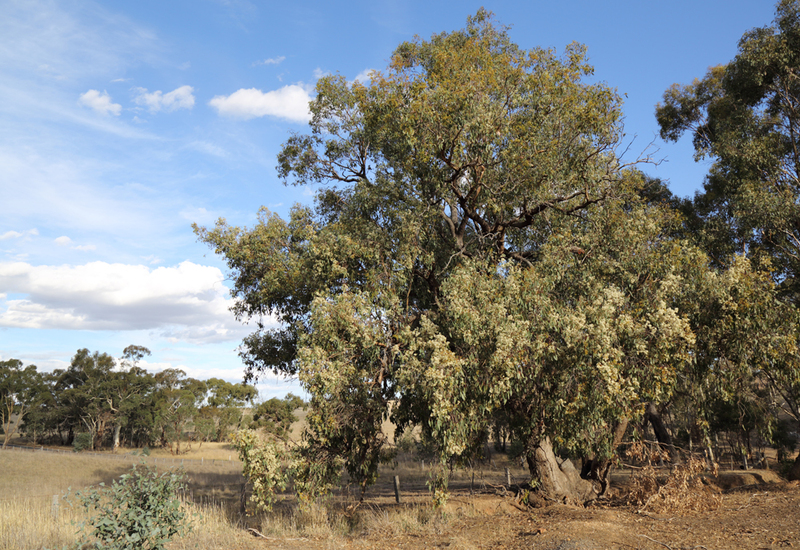 A Newstead Landcare presentation by Tanya Loos at the Newstead Community Centre, Thursday Oct 16th at 8pm. Who says the first day of Winter is on June 1? 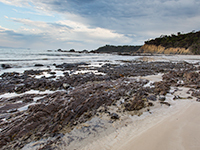 Indigenous people around the world and here in Australia mark the seasons through the weather patterns, and the behaviour of flora and fauna. 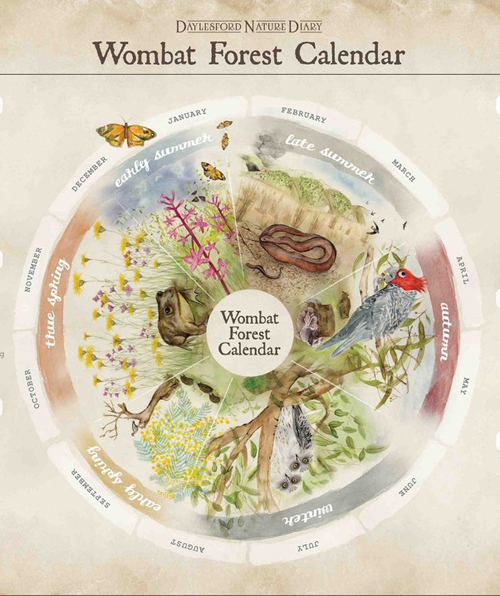 Inspired by this, naturalist Tanya Loos has created a six season calendar for the Wombat Forest region. 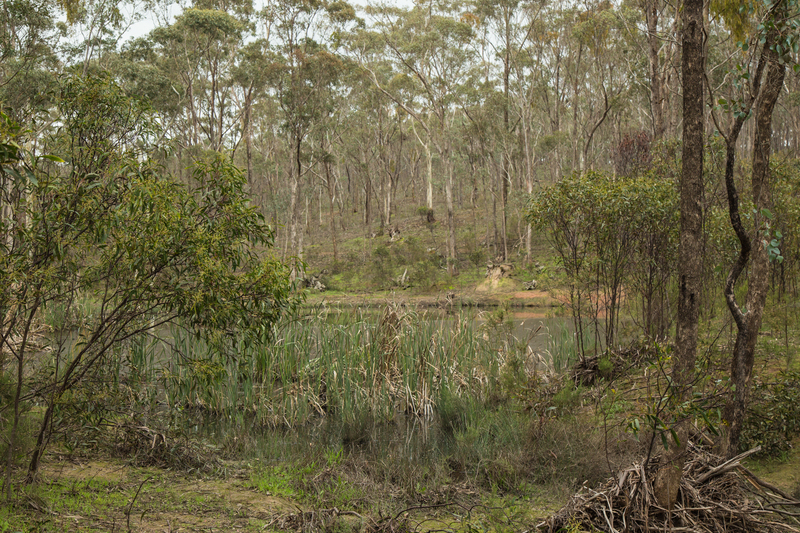 The six seasons of the Wombat Forest. 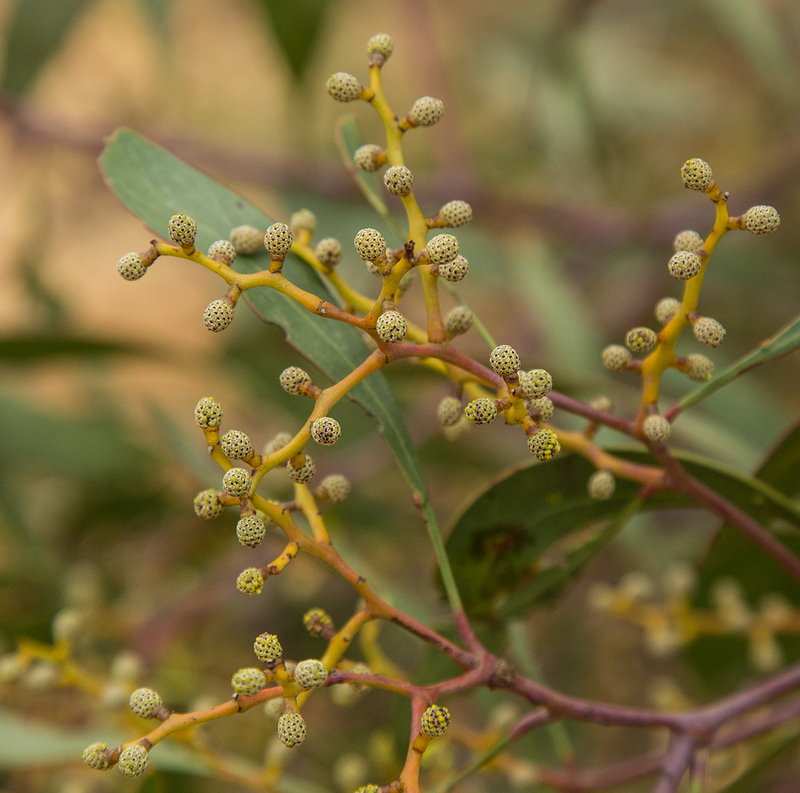 Tanya will share how she used ten years of nature journal observations to adapt the Yarra Timelines calendar to the Wombat Forest area. 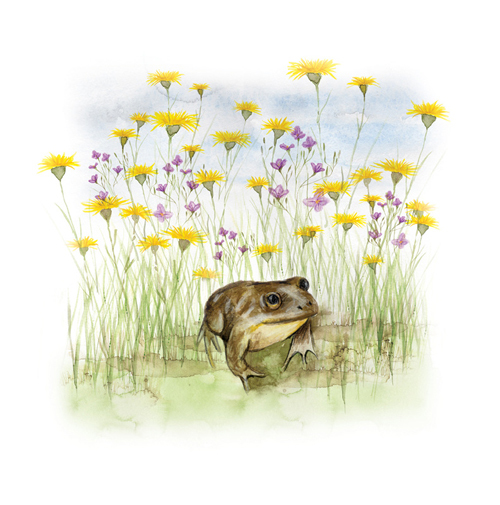 If you like the idea of marking the seasons by such things as the arrival of spring migrants, or fabulous fruiting fungi – do come along. 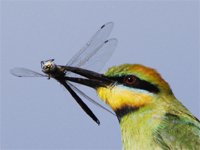 Tanya is a very skilled ornithologist, field naturalist and writer and is a fantastic presenter into the bargain! 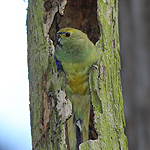 She is currently ‘Habitat for Bush Birds’ Project Coordinator with Connecting Country. So don’t miss this great night and let all your friends know about it. 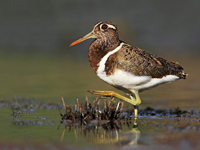 The presentation starts at 8pm at Newstead Community Centre on Thursday Oct 16th and will go for one hour. It will be followed by our very brief AGM and a light supper. Gold coin donations would be appreciated. Tanya will also have copies of her book for sale.